GIFTS and APPAREL, HOME DECOR, TACK SUPPLIES and MORE for HORSE LOVERS everywhere! 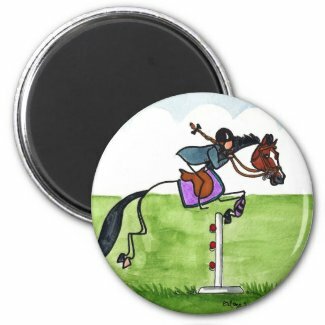 Order Cute and Funny Horse and Equestrian-themed refrigerator magnets in a variety of styles. 2 x 2 square magnet. Customize this item with any name. 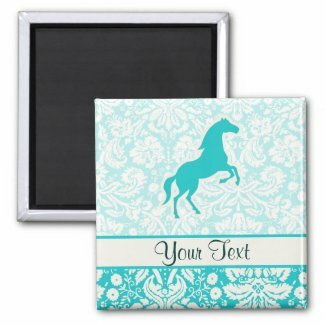 You will love this cute teal damask horse horses equestrian stallion colt design. 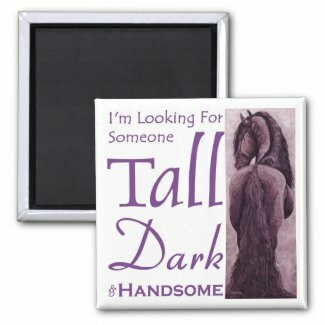 Have some fun with this witty Friesian horse magnet telling what a girl's true hearts desire is. Created from the artful imaginings of Mona Majorowicz of Wild Face Gallery, it features a handsome young Friesian stallion. 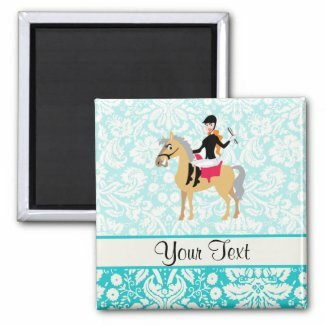 You will love this cute teal damask pattern equestrian horse riding horses design. Personalized with any name. Your choice of round or square magnet. Pair of quarter horses rubbing noses. 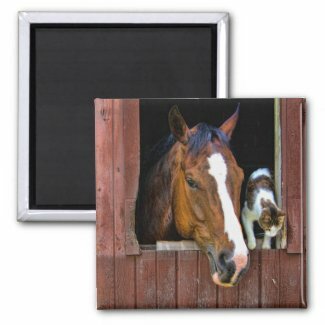 This and other similar horse and dressage designs on many other gift products at Horse Stall Gifts. 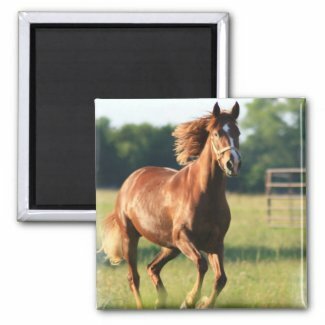 Nothing beats the exceptional look and quality of our Palomino Horse Magnet. Among the finest made, you will be provided with great satisfaction and long lasting enjoyment. Why not pamper yourself or give a loved one a Palomino Horse gift to show them how much you care. 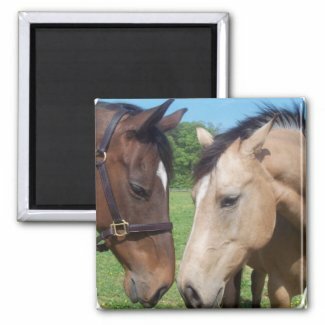 The Palomino Horse Magnet will make the perfect gift for any Palomino Horse lover. Shop with confidence, because all products come with a 100% customer satisfaction guarantee. Click over now to see the big selection of Palomino Horse gifts we offer. 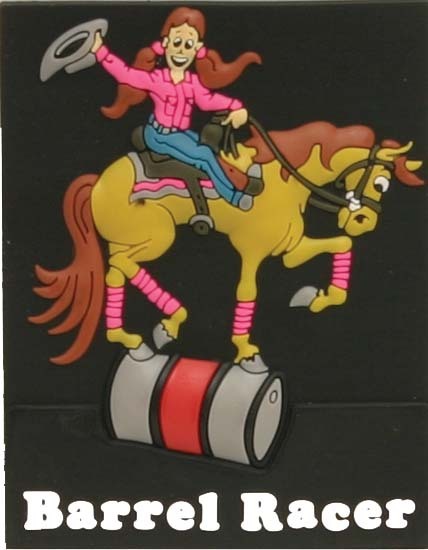 Barrel Racer refrigerator Magnet.Color:naSize:2" x 3"
STICK HORSES are a sensation sweeping the globe. This little guy knows all the moves cross-country. Visit the ellencmaze Gallery for hundreds of designs! Adding more daily! On greeting cards, t-shirts, tote bags, coffee mugs and more! 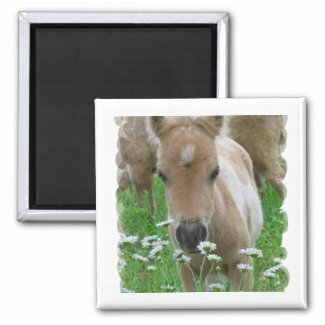 Baby horse smelling wild daisies in a field 2-inch square magnet. 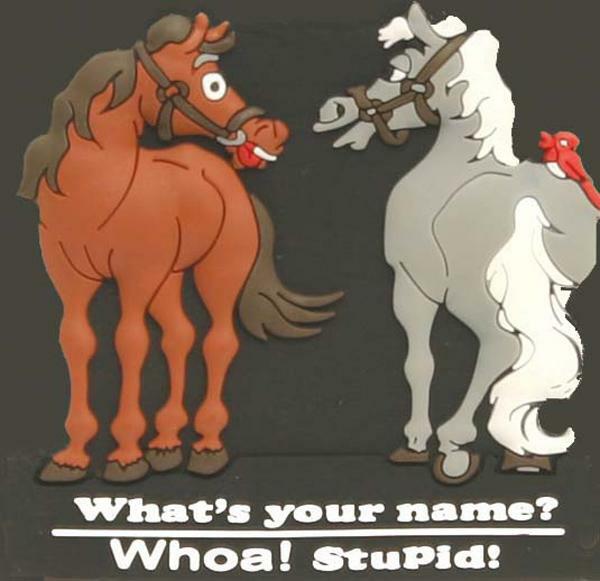 MANY MORE like this at Horse Magnets at Zazzle. LIKE us on our new Facebook page for fun horse stuff and product updates!